Hi I am Yolande Thomas from the amost amazing and beautiful island of Trinidad and Tobago. 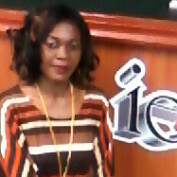 I have been a reporter for 10 years with experience in television and radio. I currently work at a television station on my island. It's my hope to give insights into all the latest developments happening on this beautiful island and from time to time around the globe. I joined Hubpages just searching the internet for online jobs for writers.